Finding time to focus on the future can be difficult for established businesses which are busy delivering for their clients and doing their day job. Recognising this, Launceston based architects Parkes Lees have taken advantage of the support offered by the Cornwall & Isles of Scilly Growth & Skills Hub to develop an exciting new direction for their practice. Established in 1912, and one of the longest running architectural practices in Cornwall, the firm has a well-deserved reputation for providing high quality architecture and building design services. While the team has considerable experience in delivering contemporary design, low energy builds, conservation work and traditional builds, Director Mark Kemp was aware that the practice had been run in the same way for a number of years and decided it was time for a change. Mark was doing some work for a client when the local planning authority advised him to contact the Growth & Skills Hub to see if they could help his client with a planning issue. After discovering the kind of support available through a range of European Structural & Investment Fund (ESIF) funded programmes, Mark passed the information to his client, and then phoned Growth & Skills Hub back and asked if they could help him as well. Since that phone call seven months ago the practice has received support in identifying its digital support needs, and in assessing the training needs of staff. 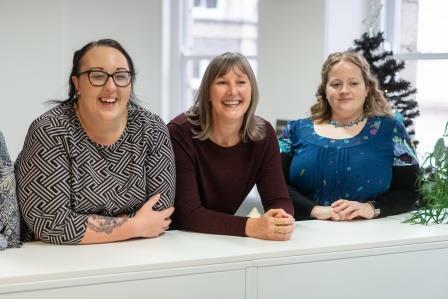 As a result of the analysis one member of staff is now doing a project management course which will support her in planning resource allocation in the practice, while another will take part in a leadership and management training programme. With support from the Growth Hub, Mark was also offered 15 hours of executive coaching through the Transform programme which he is using to work with all 11 members of staff to develop a new business strategy and marketing campaign for the practice. He is full of praise for the support the practice has received from the ESIF funded programmes. “The executive coaching has been incredibly useful in encouraging us to look at where we are now and what we currently do, and then to consider where we want to be and what we want to be in the future,”he said. Mark is very clear that all businesses could benefit from this approach. “Our problem was that we were so busy actually running the practice, it was very difficult to find the time to think about how we might do things differently. It was fantastic to have someone come in and help us to develop a new business strategy and vision for the future.